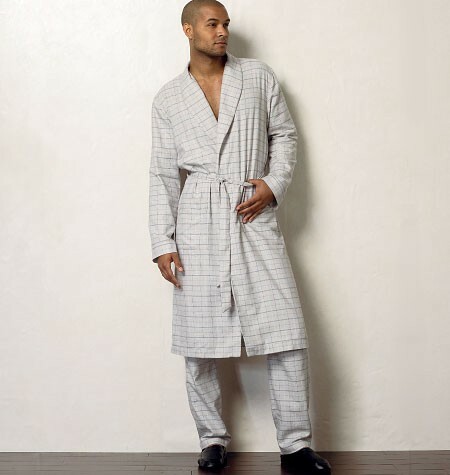 MEN'S ROBE, BELT, TOP, SHORTS AND PANTS: Lined, wrap robe has front extending into collar, extended shoulders, loops and self belt. 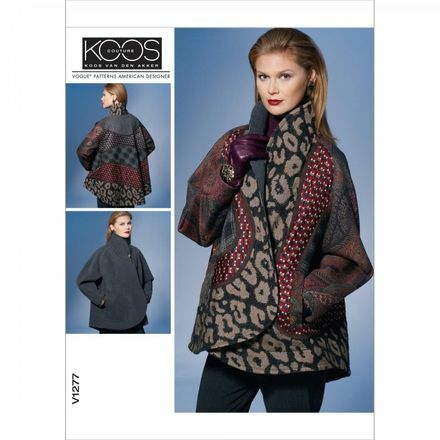 A, B, C: sleeve and pocket bands. B and C: bias piping. Top has collar. Shorts or straight-legged pants, slightly below waist (front) have bias drawstring with elastic, and button fly. All have stitched hems.